Providing you the best range of voc meter, direct sense iaq monitor and air pressure quality analyzer with effective & timely delivery. Volatile Organic Compounds (VOCs) are organic-based chemicalsemitted as gases or vapors from solids or liquids that vaporize atroom temperatures. 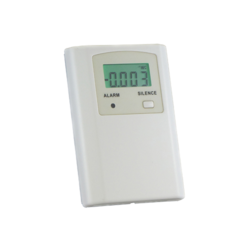 Health effects from inhaling VOC’s dependon the type of chemical, amount in the air (concentration in ppmor ppb), how long a person is exposed, and personal sensitivityto a given VOC.VOC probes are available to measure temperature, humidity,VOC and CO2 or just VOC and temperature. Calculations includepercent outside air, wet bulb and dew point temperatures. VOCexposure in mass concentration can be calculated by inputtingthe molecular weight and response factor for a particular VOC.The VOC probes feature field calibration, maintenance andreplacement sensors. GrayWolf is transforming the way that environmental measurements are taken. GrayWolf’s Direct Sense IAQ Monitor kits harness leading edge sensor technology with the power and performance of mobile computing. 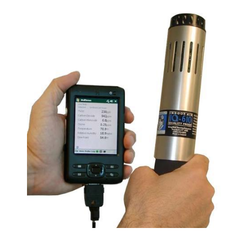 Efficiently display, document, access educational info (on-site) and report on IAQ parameters. 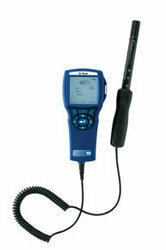 Looking for Indoor Air Quality Instruments ?